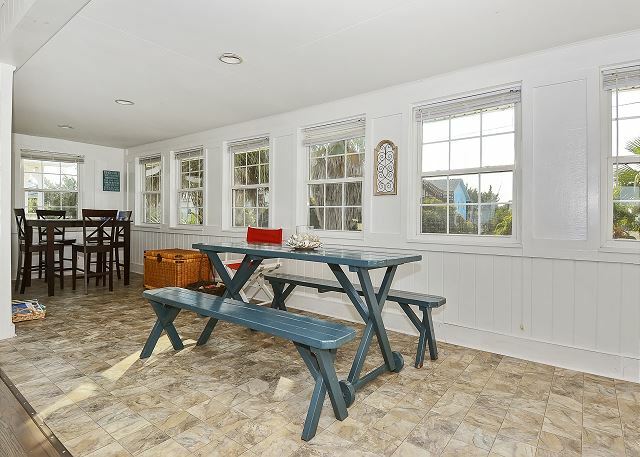 Welcome to Happy Hour - A charming 2000 SF direct inlet front home. 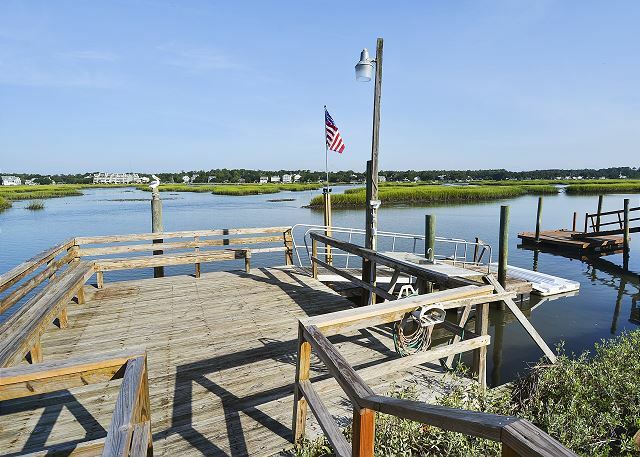 Bring your boat and enjoy flounder fishing and crabbing in the inlet or easily venture out to the ocean for off-shore fishing which along with crabbing can also be enjoyed right off the private dock. 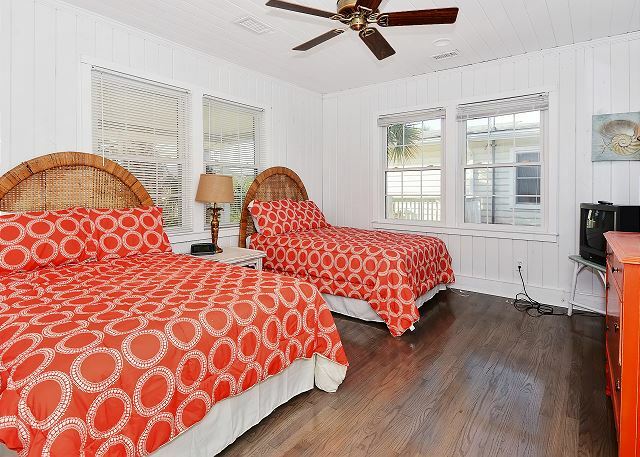 Recently renovated with fresh interior paint, refinished hardwood floors, and new décor; this is a brightly decorated home with a coastal theme. 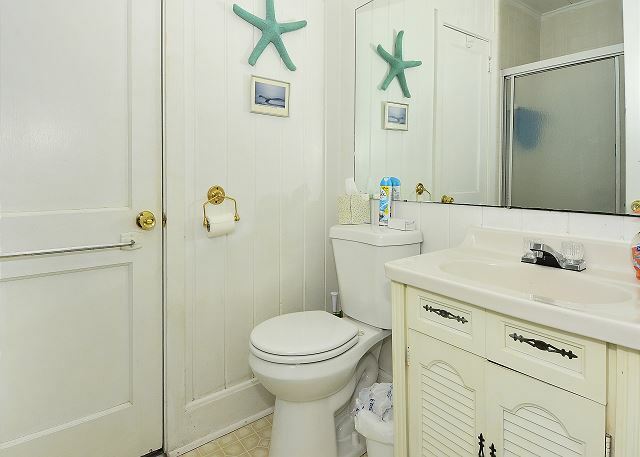 This house is conveniently located with direct access to the inlet, a short easy walk to the beach, and only half a mile to the Garden City Pier and all the attractions of Garden City Beach - arcade, ice cream shop, restaurants, and shopping. 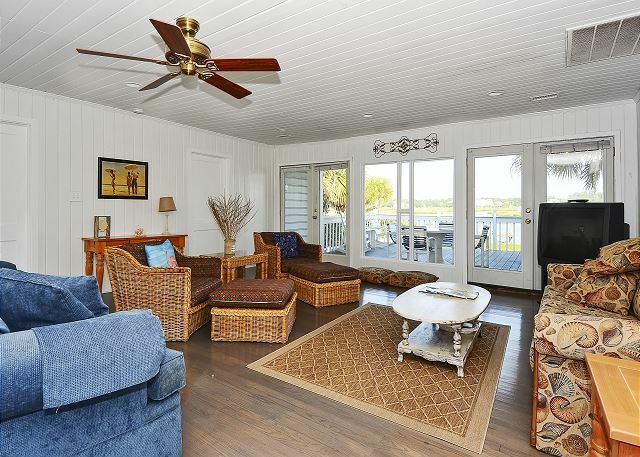 Enjoy unobstructed views of gorgeous sunsets over Murrells Inlet from the living room, deck or private dock. 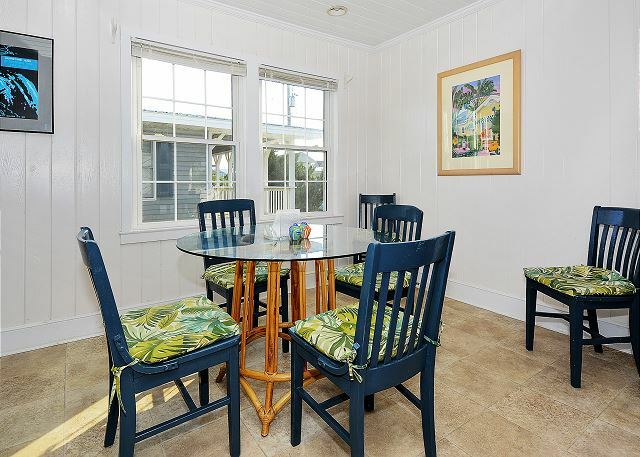 Open living and dining area with a fully equipped, eat-in kitchen. 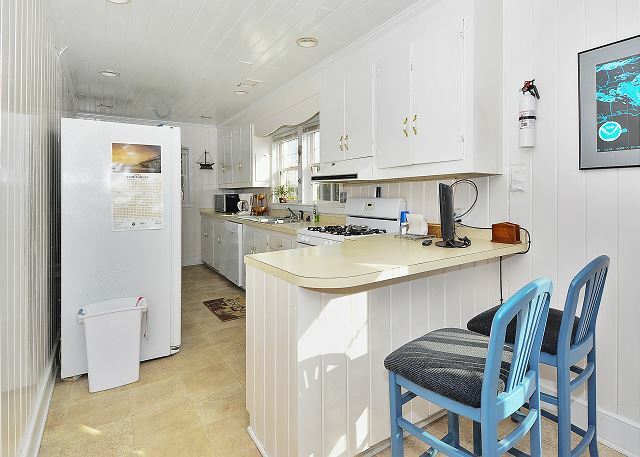 Kitchen features all large and small appliances, dinnerware, cookware, glassware, and utensils to prepare and serve meals. 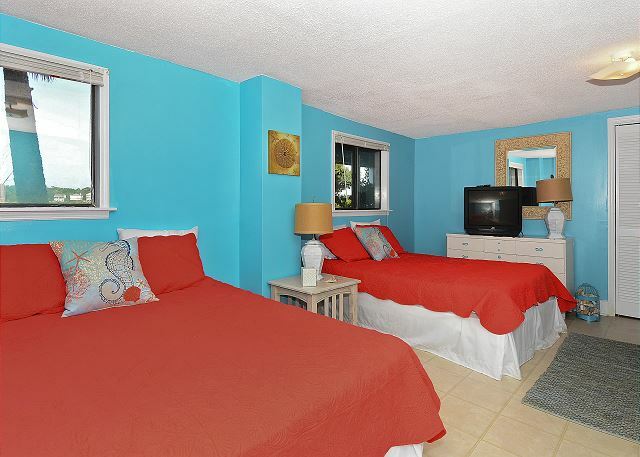 TV in living area and one in every bedroom with cable TV and Wi-Fi for added convenience. 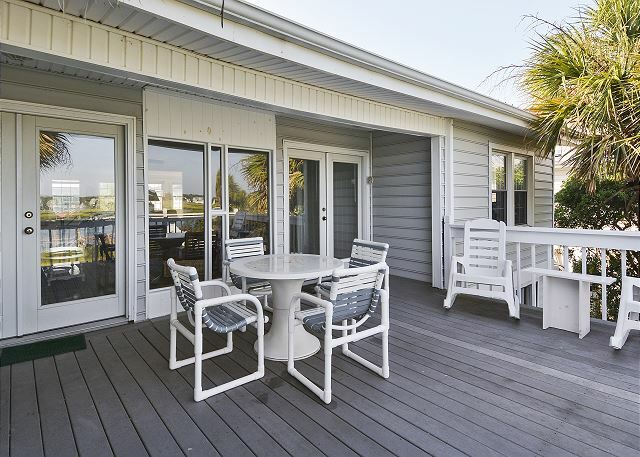 Outside amenities include a private dock with lights & sink, enclosed shower, large backyard for kids to play, furnished inlet front deck, and parking for four vehicles. We stayed here for the week of the 4th of July with a large group of extended family and a dog. 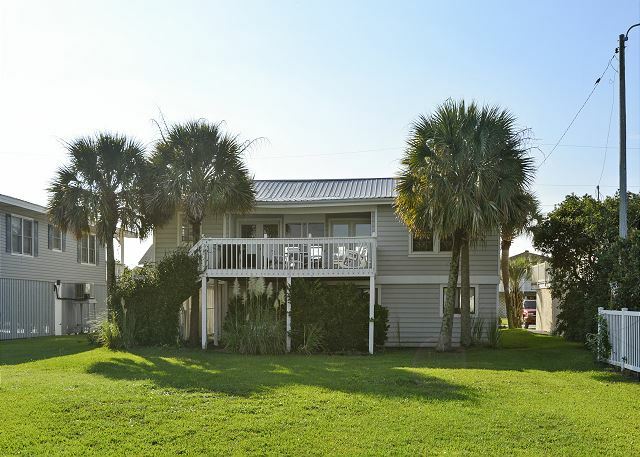 The house is very comfortable and accommodated all of us, and the little extra features like the ice machine and grill were very much appreciated. 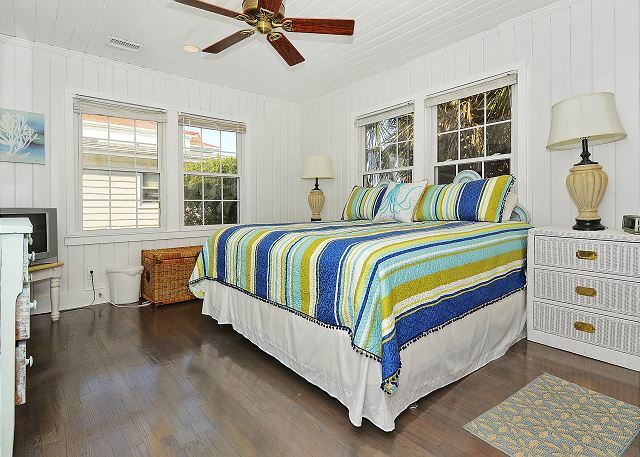 You can tell that this is really someone's vacation home and it very much felt like home to us as well. 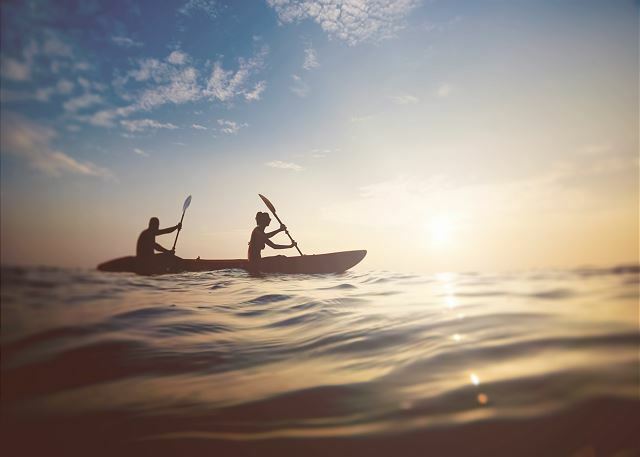 The location is awesome if you like to both fish and go to the beach. Would stay here again. Great experience, great family vacation. Very nice house with a great view. Two months of great times. House is old but clean and vey comfortable. 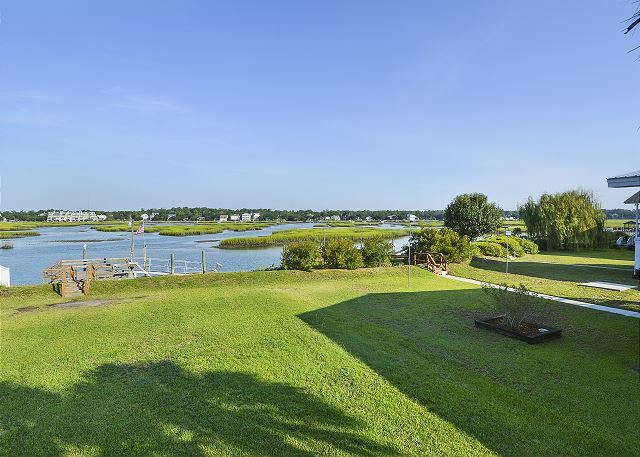 Loves the slanted floors and the view of the marsh kept us intertained. 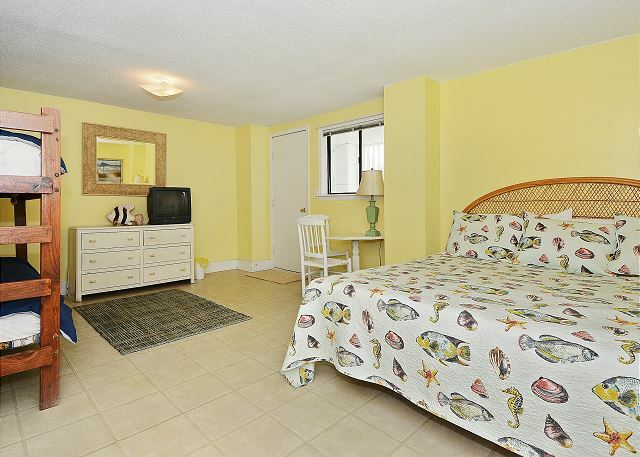 Just a short 2 blocks to the beach. Don't want to say too much good because then I won't be able to get it again. Just kidding.. but love, love the house neighbors next door and across the street. Would love to have it again next winter.